Today, more and more consumers are spending their time banking on mobile devices. To discover people’s perceptions about mobile and in-branch banking, Bank of America recently surveyed consumers’ banking behaviors. They revealed the results in the Bank of America Trends in Consumer Mobility Report. MediaPost.com featured highlights from the report to show whether people view their smartphones as a smarter way to bank. 91% of overall respondents said their mobile devices were very important, even more critical than TV and coffee. 96% of 18-24 year-olds viewed their smartphones as essential, even more important than their toothbrush and deodorant. 89% of adults check their smartphones numerous times a day. 38% never disconnect from their mobile devices. 36% constantly check their mobile devices. 84% said that they visited a bank branch at least once in the last six months. 47% do the majority of the baking via mobile or online services. 23% handle most of their banking directly at a branch. 58% of respondents have used mobile check deposit. 38% use mobile check deposit frequently. 35% have not used the service because they’re uncertain of how it works or unfamiliar with how to use it. 21% have not used the service because they prefer to deposit their checks in person at a branch. 27% don’t have the need to deposit checks. 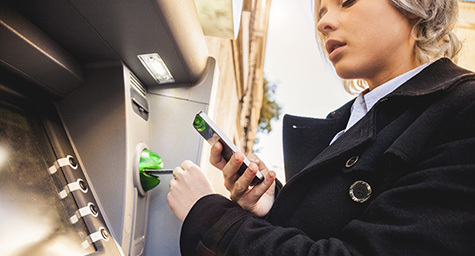 While mobile banking is clearly on the rise, branch visits still matter to many. Banks and credit unions should cater to both mobile and branch banking customers and offer convenient services to earn greater interest. Bank on the latest in financial and credit union marketing. Contact MDG Advertising today at 561-338-7797, or visit mdgadvertising.com.